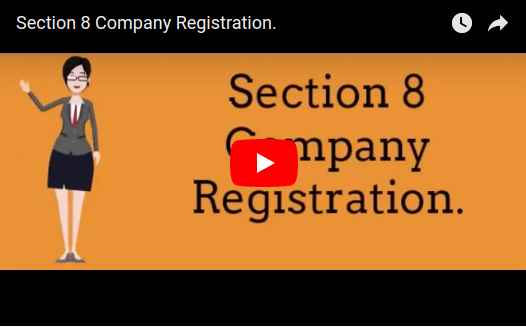 At Company Registration our experts register your Section 8 Company in your city of preference and also help you in all matters of company registration. Starting from Selecting a Name for your association, searching availability of the name you have chosen, designing your logo, providing trademark registration of your brand name and free consultancy on any matter related to your company registration. Company Registration is just the first step of your journey with us. We also provide Bookkeeping, Taxation, Annual Filing, ROC Compliances (such as minutes, notices etc.) services. We are a one stop shop for all your business related needs. 1. What is a Section 8 Company? Any organization that operates for promotion of art, science, education, sports, social welfare, research, charity, religion, environmental protection or any other such objective. It is easy to manage a Section 8 Company as compared to a Trust or a Society. 2.What are the key features of a Section 8 Company? 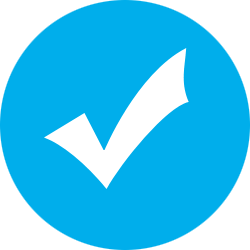 Objective – It operates for common welfare of population in regard with the promotion of commerce, art, science, sports, education, research, social welfare, religion, charity, environmental protection or any such other object. Not for Profit Earning – The objective is not to earn profit. If any profit is earned during course of the company’s operation then it is not to be shared among the owners or its members but rather be utilised for attaining the objectives of the association. Utilisation of funds and earnings – The profits or other generated income is used towards promoting of specific objects of NGO. Further there is restriction on declaration of profits as dividend to members. 3. What are the basic requirements to start a Section 8 Company? 4. What are the additional requirements for section 8 company registration? Multiple forms need to be filed to apply for license. Memorandum of Association (MoA) & Articles of Association (AoA) of the proposed company. A declaration confirming the application by a practicing Company Secretary on the Non – Judicial stamp paper of the prescribed value. List of names, descriptions, addresses & occupation of the Promoters and the Board Members of the proposed company. A statement showing details of all the assets and liabilities of the company as on date with the application. An estimate of future annual income and expenditure of the proposed company, specifying the source of income and object of expenditure. A statement needs to be submitted specifying briefly the grounds on which the application is made. In other words a brief statement specifying the objective of the proposed company. A declaration should be submitted by each person making an application in prescribed form on non – judicial stamp paper. A Letter of Authority is required. 5. Is Digital Signature (DSC) mandatory to complete the registration formalities? 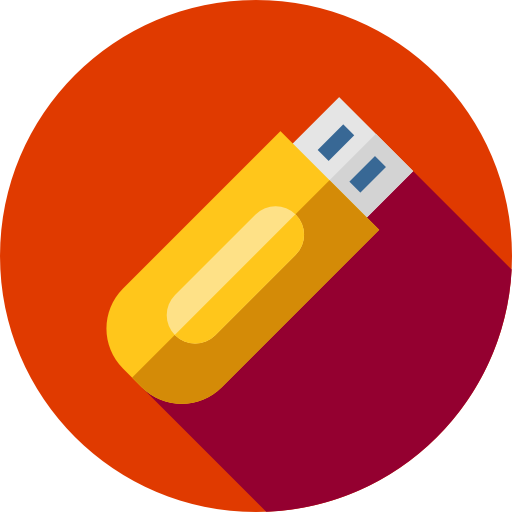 Digital Signature is the only secure and an authentic way to submit a document electronically. All the filings of e-forms on the MCA Portal are required to be filed with the use of DSC by the person authorised to sign the documents. 6. Is it necessary to have 2 directors for the registration of a Section 8 Company? Yes, a minimum of two directors are mandatory for a Section 8 Company registration. 7. Who are eligible to become a member in the Section 8 Company? Any individual/organization is eligible to become the member of Section 8 Company including foreigners and NRI’s. 8. How much time will the section 8 company registration take? The entire incorporation process under section 8 of Companies Act 2013 gets completed on obtaining the license and issue of the incorporation certificate. The whole process can be closed in less than 15 days. The time taken depends on the relevant documents provided by the applicant and speed of approvals from government. To ensure a speedy registration process, it is advised to pick up a unique name for the proposed company and make sure that all the required documents are available before starting the process of registration. 9. Is there a need for any other special registration? A place of work in a restricted area like a tribal area or a border area requires a special permit, the Inner Line Permit, issued either by the Ministry of Home Affairs or by the relevant local authority i.e., the District Magistrate. To open an office and employ people, the NGO should register itself under the Shop and Establishment Act. To employ foreign staff, an Indian NGO needs to be register itself as a trust/society/company along with having an FCRA registration and a No-Objection-Certificate. The intended employee also needs a work visa. A foreign NGO willing to set up an office in India and wanting staff from abroad needs to be registered itself as a trust/society/company. The NGO will also need to take the permission from the Reserve Bank of India and a No-Objection-Certificate from the Ministry of External Affairs. 10. What is the government fee applicable for Section 8 company (NGO) registration?